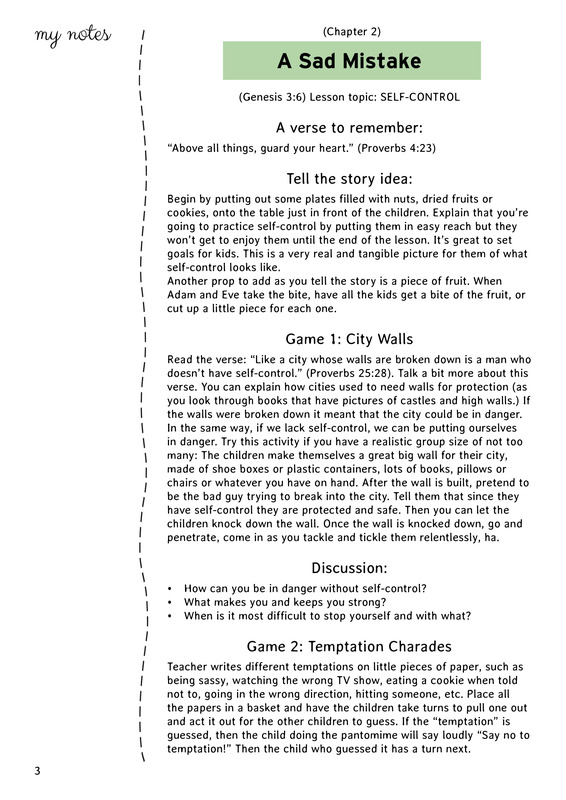 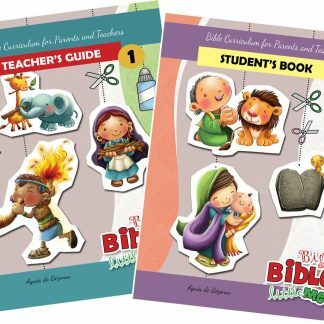 A Bible curriculum with 60 character building topics. 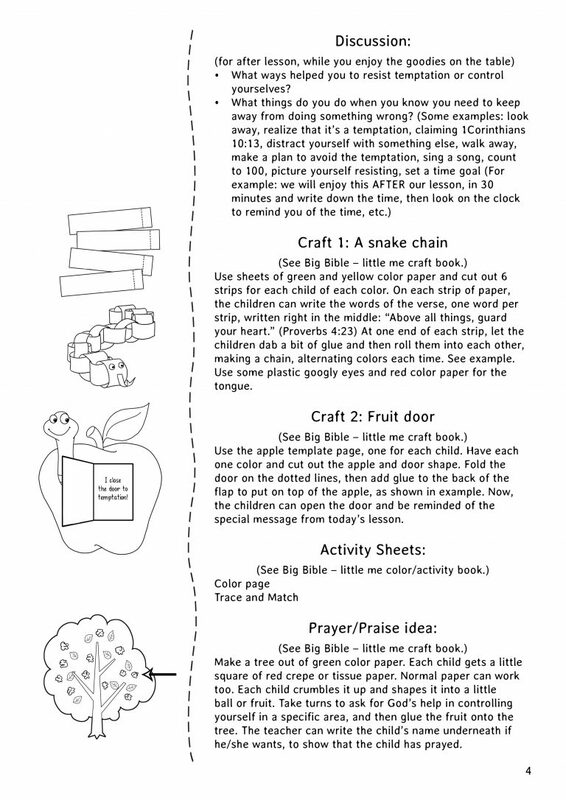 Teacher’s Guide book with 128 pages of instructions, ideas, games, discussion questions, craft guide and prayer/praise ideas. 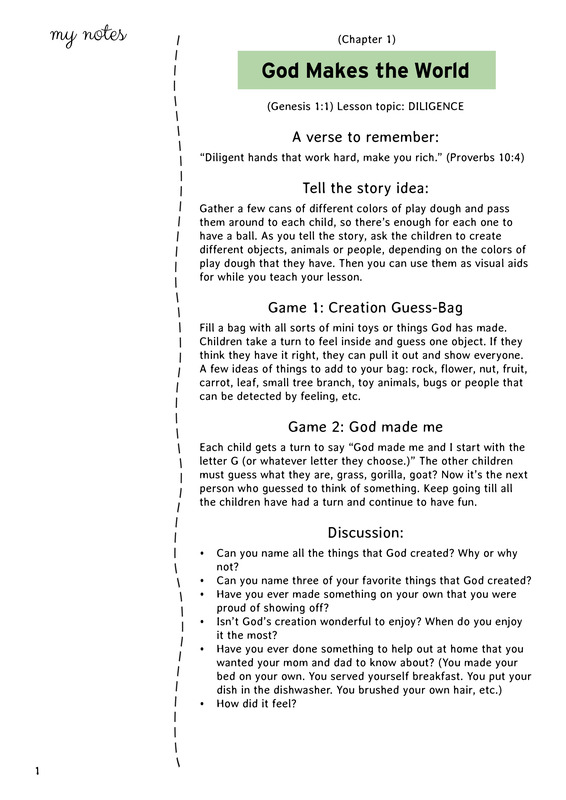 Student’s Book with 136 pages of arts, crafts and game templates. Teacher’s Guide: This book includes the ideas and instructions to accompany the “Student Book” with the crafts and games. 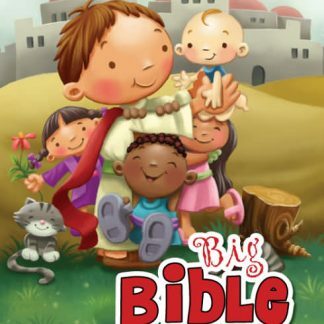 A great tool for any parent and teacher to help children enjoy learning more about God’s wonderful Word. 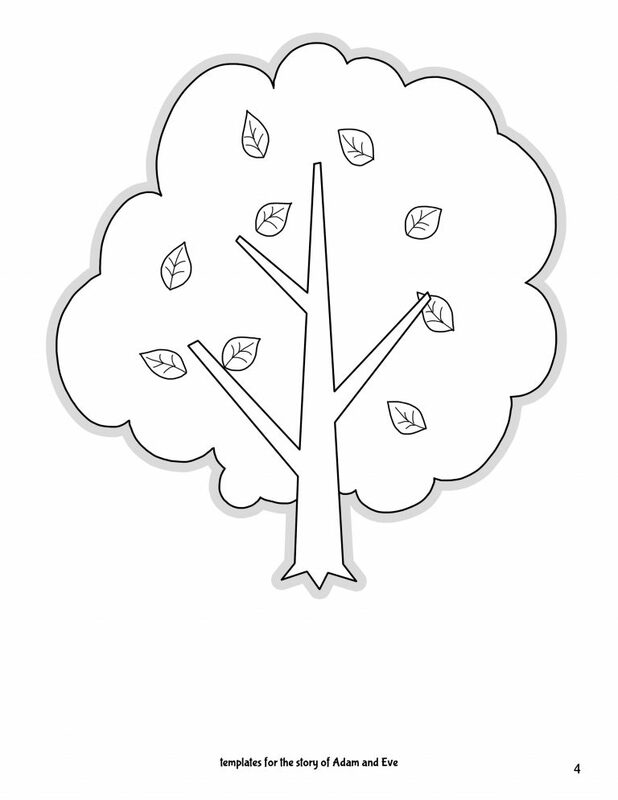 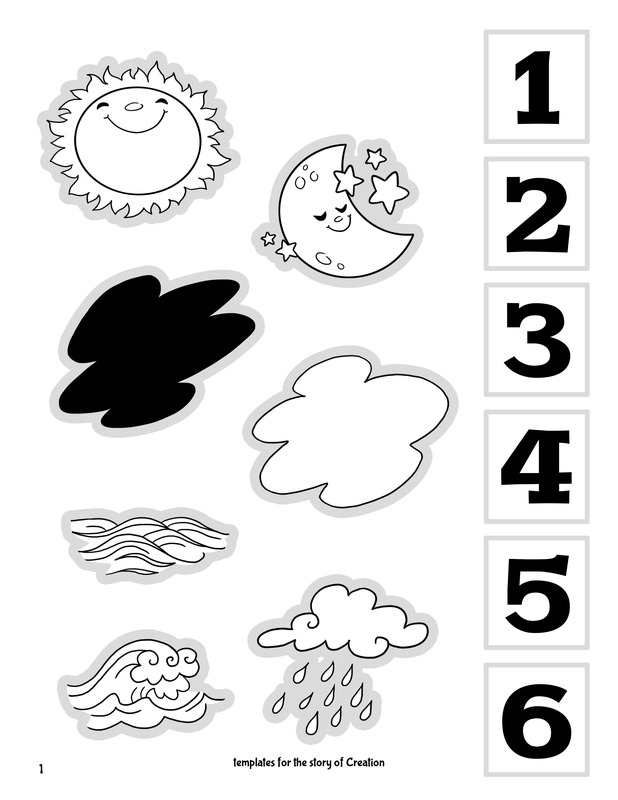 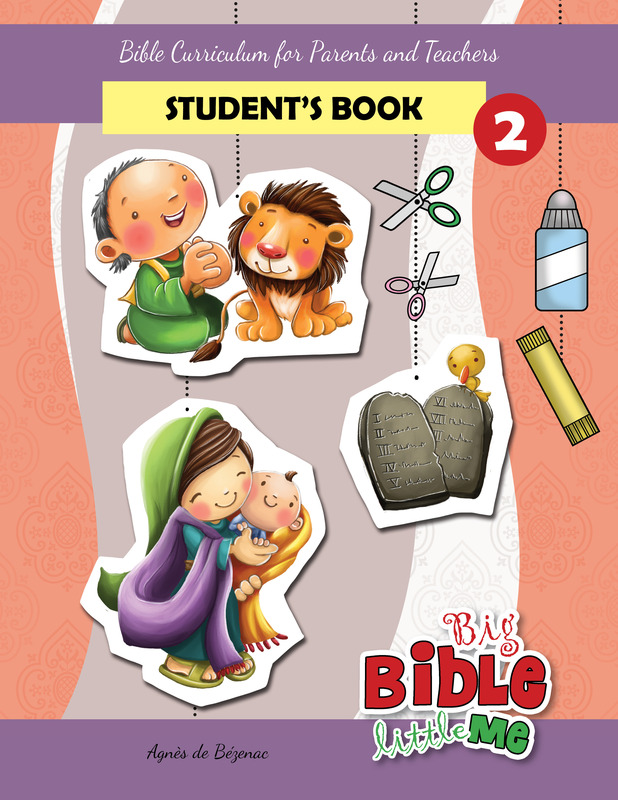 Student’s Book: This book includes all the templates that you will need for your crafts projects and games, to go along with the “Teachers Guide”. 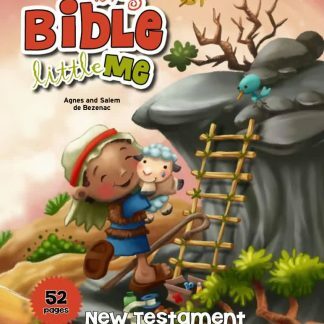 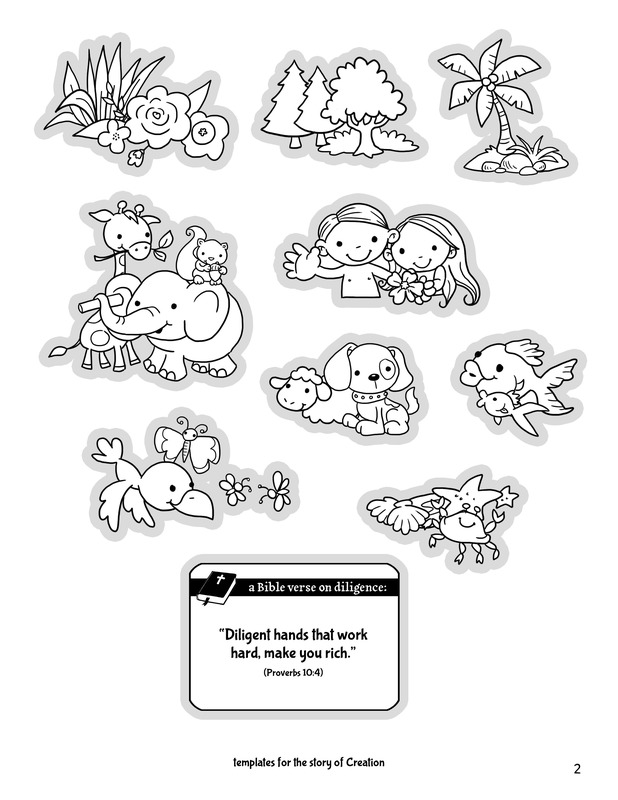 You may also want to download the “Big Bible, Little Me” book and the New and Old testament coloring books. 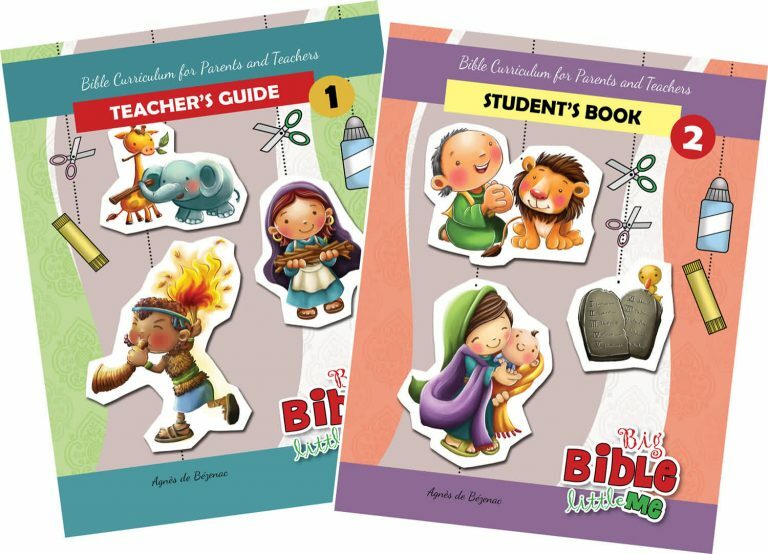 This curriculum is also available here, compiled into individual Bible stories. 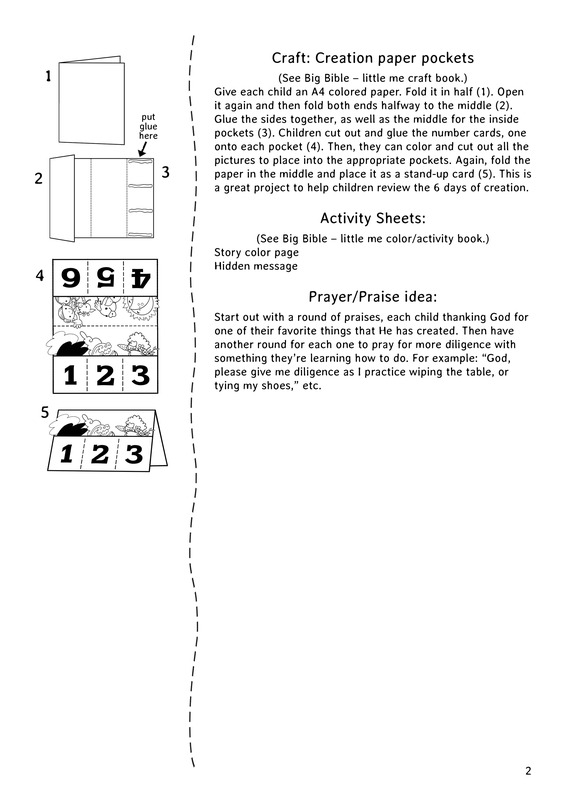 Diligence, Self-control, Obedience, Humility, Dependence on God, Patience, Initiative, Honesty, Encouragement, Comparing, Responsibility, Confidence, Justice, Willingness, Service, Flexibility, Decisions, Faithfulness, Praise, Attentiveness, Caring, Courage, Devotion, Wisdom, Worship, Endurance, Unselfishness, Determination, Teamwork, Conviction, Peer-pressure, Perseverance, Beauty, Availability, God’s love, Admiration, God’s Word, Boldness, Following Jesus, Kindness, Cheerfulness, Gentleness, Faith, Asking God, Being responsive, Friendship, Sharing, Jesus first, Compassion, Forgiveness, Gratefulness, Repentance, Enthusiasm, Communion, Salvation, Easter, Hopefulness, Holy spirit, Witnessing, Heaven.